For pre-school children and their carers. We meet on Tuesdays in school term time and begin in church at 9.30am with a short time of worship - simple child-friendly prayers, stories, and music; then move to the coffee lounge for drinks, snacks and play-time. If you have or look after pre-school children do come along - each Tuesday during term-time at 9:30am. For children from four years old and over, come along to our Sunday School on Sundays in school term time. 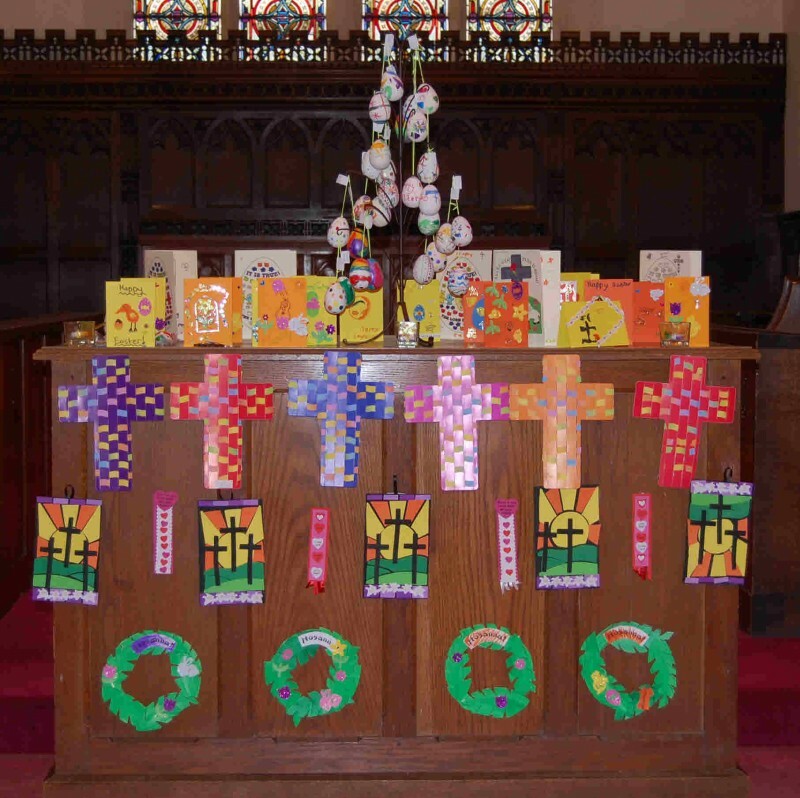 We meet in the Church Hall at 9.15am for our own service and lesson, then do craft activities which we show to the congregation at the end of the main service at Christ Church. We have two groups for young people who belong Christ Church to encourage them in their faith. Y-Firm for school years 6 - 9 meets on the 2nd & 4th Sundays of the month from 6.00pm - 7.30pm. Each group has activities in the hall as well as occasional outings.